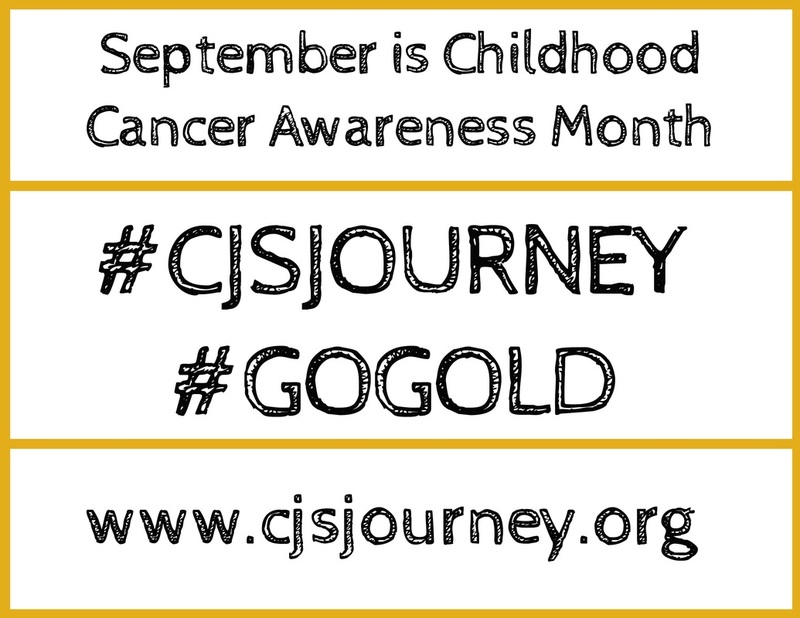 This year CJ's Journey is working hard to spread awareness of childhood cancer in the St. Louis area. The Foundation is working to establish relationships with restaurants, schools and businesses eager to raise much needed awareness and money for research. Ask your business or company to participate in the Gold Ribbon Campaign. CJ's Journey supplies gold ribbons to be sold for a $5 donation or postcards for $1 donation. The money raised benefits research and we encourage all employees to wear the ribbons to help spread awareness. Host a dress down or jean day at work. Encourage your fellow employees to participate in a dress down day for a $5 donation. The money raised benefits research. Work for a restaurant? Work with your manager to host a Dine to Donate and sell Gold Ribbons for $1 to line the restaurant walls. Work for a store? Encourage your manager to hold a donation day, where a percentage of sales benefits Childhood Cancer research. Gold Ribbons can be sold for $1 to line the walls of the store. CJ's Journey supplies the Gold Ribbon pins, as well as the Gold Ribbon postcards. All participating businesses will be featured on our website and social media pages!